I love a good hand drawn graphic to use throughout an identity. Something as simple as a palm tree evokes such a reaction and gives you all the relaxation feels. 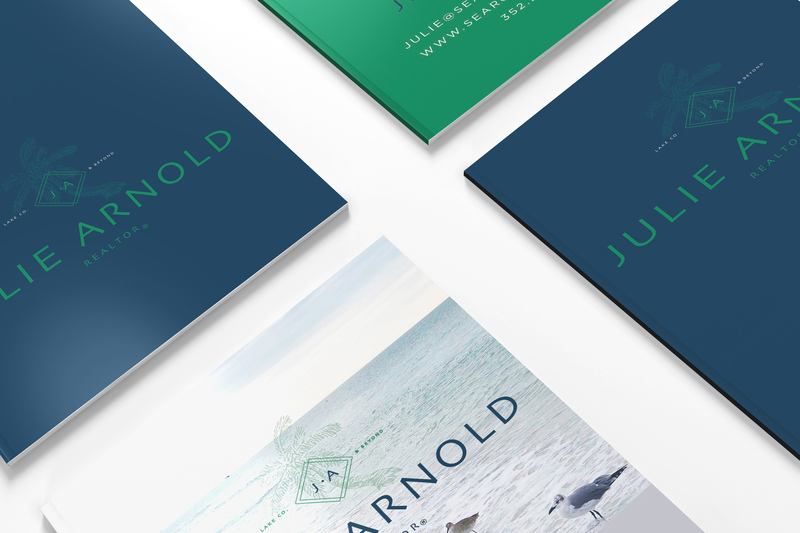 When Julie Arnold, professional realtor based our of Lake County, Florida, came to us with a vision of her brand in mind, she mentioned the desire to have something that showcased her knowledge of the area, professional expertise, and approachable personality. We started with the logo design and brand board, and continued by creating the brand collateral, from the business card design, thank you note, envelope design to the meaningful details like stickers and social media cover images. Our goal was to create a seamless, cohesive identity that carried the brand personality through from every touchpoint that the brand experience had to offer. 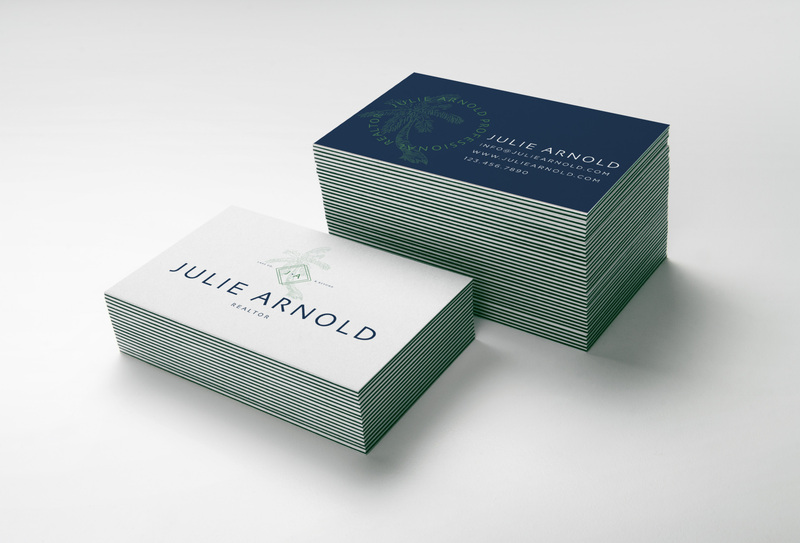 Let us know what you think of this kelly green, navy and bright white design.